Our move to Glendora marked the 6th time in our 5 years of marriage that we moved! 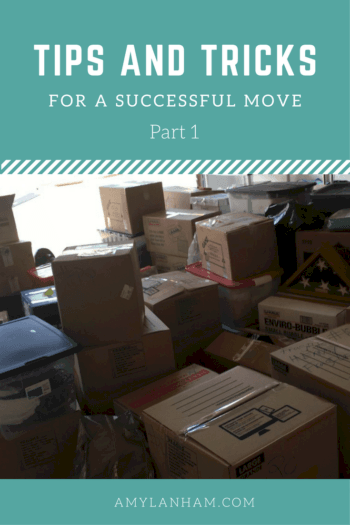 Over the years I’ve learned many tips and tricks for a successful move. I have definitely learned these the hard way, through much trial and error. These are my tried and true methods for getting through a move as painlessly as possible. Nobody wants to move, but hopefully these tips and tricks for a successful move will make it a little easier. This tip is especially important if you’re moving into a storage unit (which we’ve done). It’s also helpful if you are hiring movers or even having lots of friends help you move. If you number the boxes no one will know what is in each box but you. 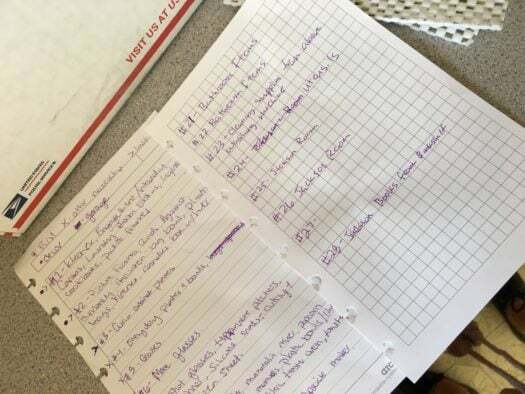 Keep a detailed list in a notebook of what is in each box and keep that notebook with you! 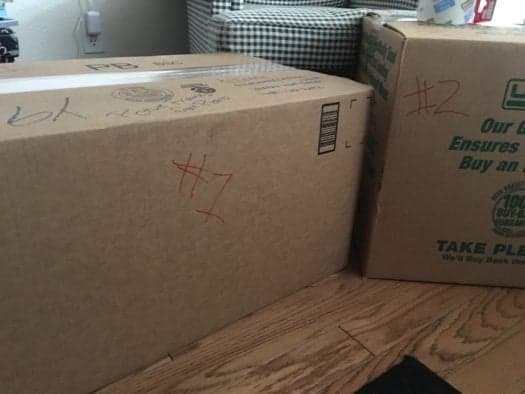 When you get to your new place you can easily tell that you have all the boxes. It’s also great to be able to look at your list if you need something specific from a box and not have to scan through tons of stacked boxes. Every time we move I always find keepsakes or little things that I want to put away in storage when we get to the new house. To differentiate and prevent damage, just buy nice boxes now. We’ve had friends help us move. We’ve moved alone. We’ve rented U-Hauls and helped other people move. Movers are the best. Sure they can be expensive, but it’s all relative. If you have to rent anything or pay people to help you, you’re probably not saving much. We use Best Moving Company and they’ve been amazing. We’ve used them twice, my mom used them twice, and we know a lot of other people who have used them now thanks to our recommendation. They put all our boxes away in the garage and made it so I could focus on other things at the house. I don’t think I’ll ever do a move without movers again. The one nice thing about moving so frequently is it doesn’t let crap pile up. Oh, but it does! We got rid of 7 boxes worth of things, countless bags of clothing items, and lots of extra bedding. It’s amazing how much we pack ratted away!! Give things to Good Will or sell them. We made some nice money using the Let Go app. Be sure to do a quick Google search for anything keepsake you list. You really have no idea what some things could be worth! I find it’s easiest to take washi tape or painters tape to mark empty cabinets and drawers. I always find myself looking through cabinets to make sure I got everything. I always do one last look on moving day no matter what. But once you clear out an area, mark it with tape. That way you’ll know just by a quick glance at the area that you’ve already packed it. These are some great tips to get you started when planning your move. I’ll have more to come. Do you have any tips or tricks that help you when moving? I’d love to hear them! You can never tell when we’ll be on the move again! We’re planning a 1000-mile move in the fall, so moving tips are top in my search, recently. I like the washi tape idea!